Lifestyle International Private Limited is one of the predominant and well-known company. Since its incorporation, Lifestyle’s approach has been focused on creating a strong industry that delivers quality products to its consumer and the communities in which it serves. Our vision of becoming a National Company with International Standards drives our long and sustainable business and is essential in the way we conclude our approach. We participate patiently in our assets while exercising a long term approach, we improve the quality and the value of our products and we enhance efficiency in correlation with professional management teams, skillful labor and high end technology in order to help us reach our full potential. Once we commit to a strategic objective, we stick with it across all levels and functions in order to deliver on our promise. Not only do we have a past that we can be proud of, but, we hold valuable to our hearts, the future hopes and aspirations of the professionals who guide this company. Our professionalism, coupled with a strong personal touch improves the possibility of accomplishment at every step. Without doubt we have the people and the assets to lead this company to a bright future. We have reached thus far owing to hard work, commitment and determination of the team that drives this organization. We bring to our clients much wanted human values, integrity, trust and an assurance of responsibility all coupled with our proficiency in manufacturing, research & management. Our leading assets have always been our small but highly trained team of professional managers and pharmacists who are backed by a very able team of administrators. We have a clear vision about building on our strengths and our accomplishments while holding dear to us our basic ideologies. We look forward to reporting continued strong performance going onward. Dr. Mian Akhtar Ali who completed his Bachelors in Pharmacy in early 20’s with the vision to serve humanity. Lifestyle International Private Limited was founded in 2000 by him with an aim to provide research and quality based products to cater fitness issues with proper measures. This was due to diversity of his vision that Lifestyle International Private Limited is now one of the most Quality based unit producing almost all kind of Consumer Products, Herbal Medicines and Nutraceuticals in Pakistan having not even a single conciliation on quality. Our mission statement is “Reinventing Natural Health”. Lifestyle International Private Limited were established in order to make the quality and result based oriented study more precisely where effectiveness and efficacy of all products were directly checked by Dr. Mian Akhtar Ali who was the eminent person in every field. Due to his competent and versatile personality he gave new heights to the firm. 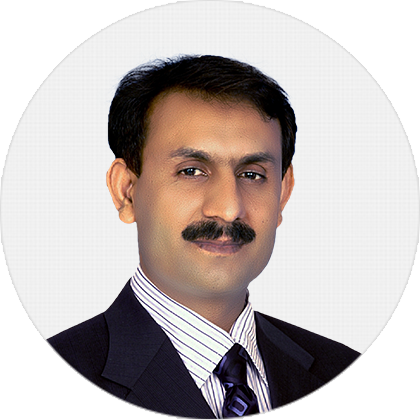 In his leadership Lifestyle International Private Limited is achieving new heights including the enlistment by Health and OTC Division of Drug Regulatory Authority of Pakistan as well as enlisted as Manufacturer by Punjab Food Authority.